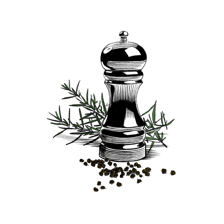 The Millstone range offers the finest, premium quality Herbs and Spices, with just over 15 to choose from. Globally sourced and locally assured our products deliver first class-quality, guaranteed. So, why not add an extra hit of flavour to your dishes today? With the help of Millstone, your cooking can come to life. Millstone originated in 1903, when traditional millstones were still used to finely grind herbs and spices. Ever since then we’ve been committed to producing premium ingredients to the highest standards. Today, the methods may have changed but our love of creating wonderful flavours is as strong as it has ever been. We’re still passionate about helping chefs and cooks make their food the best it can be. Every Millstone pot is a testament to this passion. The Millstone way is unique. 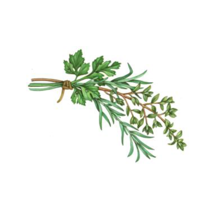 The provenance and production of our herbs and spices sets us apart. It all starts with stringent procurement. We trace our ingredients all the way from the field to the factory door. Once inside our Northampton HQ, they pass through our heat treatment facilities and high-tech labs. Then it’s on to milling and packing. 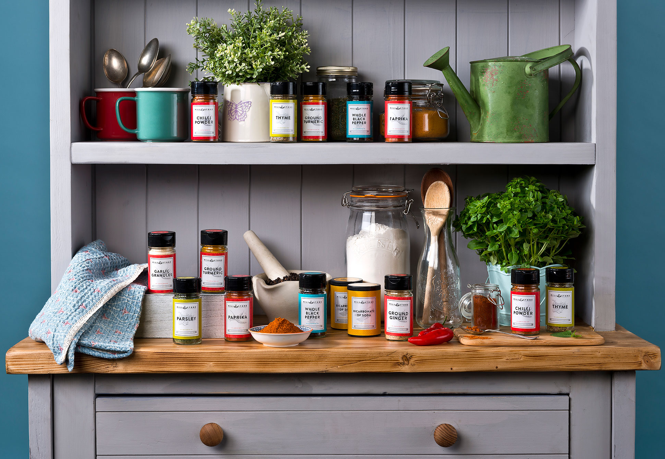 In fact, we’re the only herbs and spices manufacturer that both mills and packs its ingredients in the UK. This rigorous process ensures only the very best tastes reach your kitchen. Our methods make all the difference. They ensure we create flavours that are genuine, pure and unadulterated. 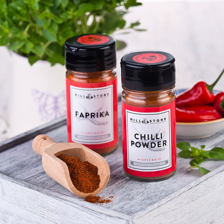 The Millstone range encompasses well over 100 herbs, spices, peppers and other key cooking ingredients. Each pot contains only the very finest flavours so when you add a pinch of Millstone you know that you’re adding the very best. Here at Millstone, our priority is to give your dishes that extra kick of flavour, a taste that truly satisfies your taste buds A selection of our products also provide additional benefits to your health. Turmeric spice, which is what gives a curry that luscious yellow colour, contains medicinal properties; with the main active ingredient proving powerful anti-inflammatory effects. 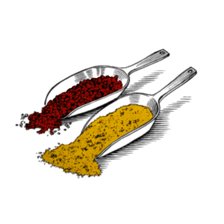 Paprika spice adds a vibrant red colour to your dishes and is packed with nutrients. 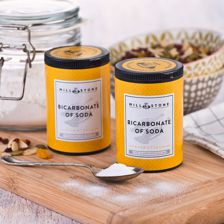 It boosts your Vitamin E intake, ups your Iron, and at just one tablespoon, hits over 100% of your daily intake requirement of Vitamin A.
Bicarbonate of Soda can help aid acid indigestion or stomach ache with ½ teaspoon of Bicarbonate of Soda in half a glass of water. Secondly, the powder can act as a toothpaste, a clever alternative to fluoride toothpastes on the market. 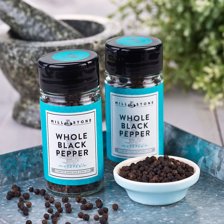 Our Mill Stone peppers products make the perfect table condiment, from whole to ground, with a variation of white and black pepper. 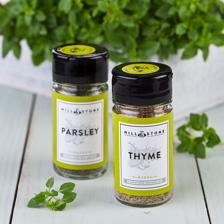 Our Mill Stone herbs range will no doubt add a touch of flavour and fragrance to your cooking. 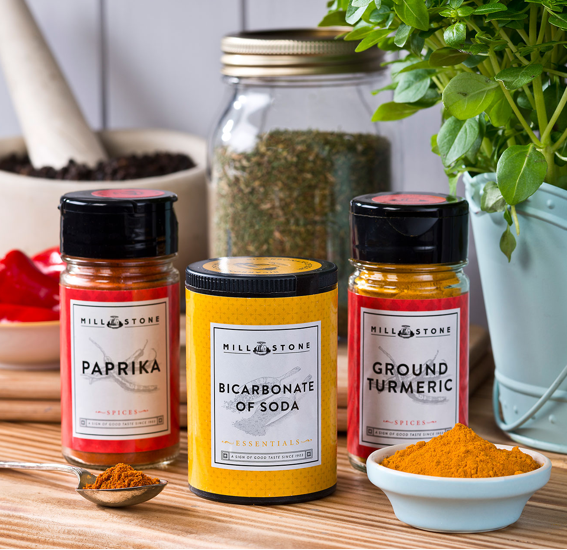 Our Mill Stone spices range offers much to experiment with and are sure to add a kick of flavour to your dishes. Get baking with our Mill Stone baking range, sure to be hit for your cakes, scones, muffins and puddings.